FGM – Is widely recognised as all procedures which involve partial or total removal of the external female genitalia and/or injury to the female genital organs, whether for cultural or any other non-therapeutic reasons. In Nigeria, subjection of girls and women to obscure traditional practices is legendary. FGM is an unhealthy traditional practice inflicted on girls and women worldwide. FGM is generally considered as a violation of human rights, which is deeply rooted in cultural beliefs and perceptions over decades and generations with no easy task for change. FGM is widely practice in Nigeria and with its large population; Nigeria has the highest absolute number of cases of FGM in the world, accounting for about one-quarter of the estimated 115 – 150 million of circumcised women worldwide. In Nigeria, FGM has the highest prevalence in the south-south (77%) among adult women, followed by the south east (68%) and south west (65%), but practiced on a smaller scale in the north, paradoxically tending to in a more extreme form. Nigeria has a population of over 180 million people with the women population forming 52%. The national prevalence rate of FGM is 41% among adult women. Prevalence rates progressively decline in the young age groups and 37% of circumcised women do not want FGM to continue. 61% of women do not want FGM said it was a bad harmful tradition. 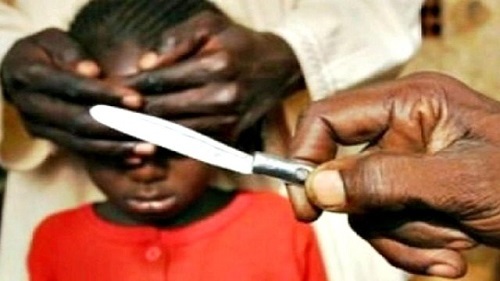 About 20 million girls and women have been victims of Female Genital Mutilation, FGM, in Nigeria out of 200 million women and girls that have been cut worldwide, making it the highest in any country. Recently, on Wednesday, 3rd of April 2019, a newly-born baby from a family of Nigerian migrants in Italy died following a botched home circumcision, the second such incident in little over a week. This paradoxically calls for immediate actions so as to bring an end to this age long-taboo ravaging our society. In Enugu state, which happens to be one of the foremost states in south eastern part of the country, FGM have had its fair share of prevalence rates in recent years. In 2016, the Society for the Protection of Rural People (SIRP), a civil society organization working in Enugu state of Nigeria. With their End FGM grant, they organized a community dialogue project and documentary about ending FGM, to enable members of the community to discuss long-taboo topics in a safe environment. The Global Media Campaign to End FGM and Onelife Initiative for Human Dignity Foundation, in 2017, organised a workshop in Enugu, to train radio journalist on how to reach listeners in the rural and urban communities on the need to abandon FGM. United Nation set aside every February 6 to mark International Day of Zero Tolerance for Female Genital Mutilation aimed at strengthening the momentum towards ending the practice worldwide. It is true that tradition and culture are important aspects of any society in helping to mould the views and behavioural patterns of the society; some traditions and cultural practices like FGM are harmful and must be abolished. A multidisciplinary approach involving legislation, health care professional organizations, empowerment of the women in the society, and education of the general public at all levels with emphasis on dangers and undesirability of FGM is paramount. Save a woman, save a society and say no to Female Genital Mutilation, FGM today.